Old Mission Congregational Church is now offering Sunday School for kids. 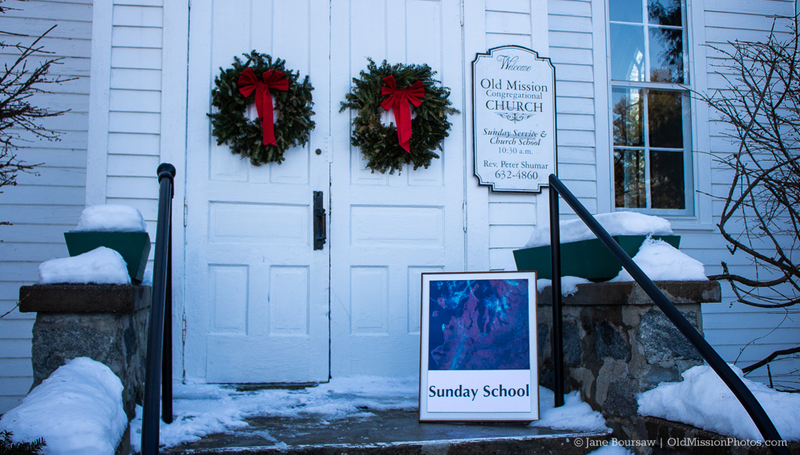 Sunday School takes place at 10:30 a.m. during the regular church service, which also begins at 10:30 a.m. every Sunday. 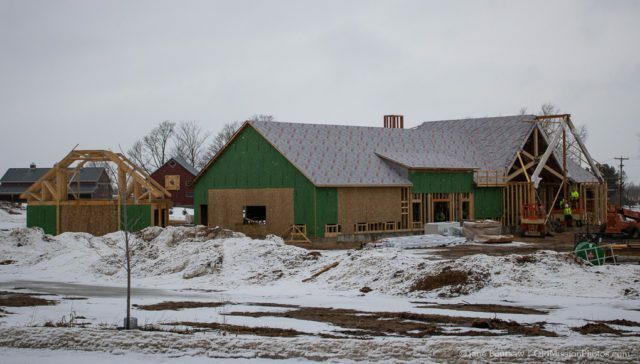 The church is located at 18687 Mission Road on the Old Mission Peninsula. If you have questions, feel free to contact Rev. Peter Shumar, (231) 632-4860. 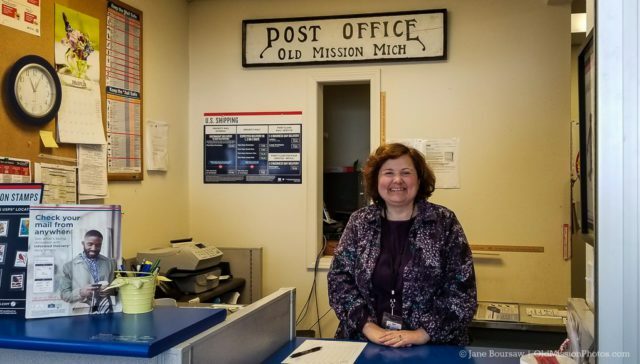 The Old Mission Post Office now has a new postmistress. Stop by and say hi to Lisa Kauffmann, who’s been tending the post office for several weeks now. The featured speaker at the March 7 meeting of the Old Mission Women’s Club was Preston Taylor, who gave an excellent talk on personal and home safety. 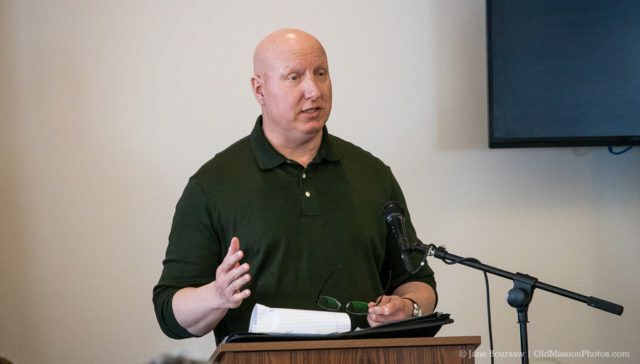 Taylor is a personal safety instructor and the owner of Grand Traverse Personal Protection. Follow him on Facebook or call (248) 701-5903. 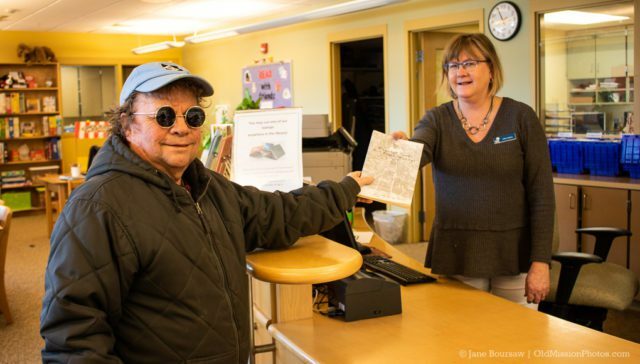 I recently had the honor of reading to the Story Stew kids at Peninsula Community Library (PCL). The books were geared for my work as a writer and editor, and included “What Do You Do With an Idea?” by Kobi Yamada and illustrated by Mae Besom; “A Squiggly Story,” by Andrew Larsen and illustrated by Mike Lowery; and “Ike’s Incredible Ink” written and illustrated by local author Brianne Farley. All preschoolers are welcome at Story Stew, which takes place at PCL every Thursday. 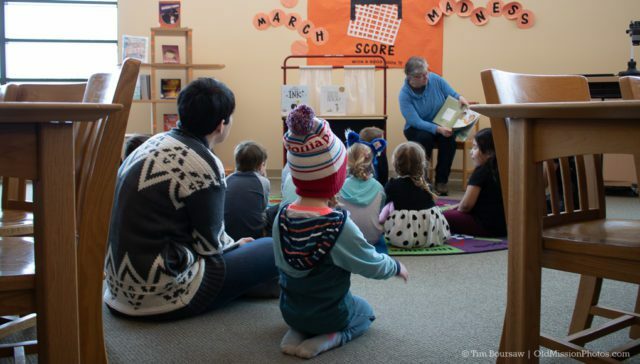 If you would like to be one of the community readers like I was (it’s really fun, and the kids were great), contact Thena Axiotis-Dahl, taxiotisdahl@tadl.org. 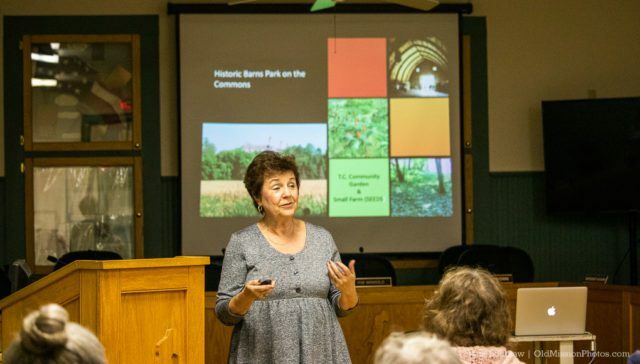 At this month’s meeting of the Old Mission Peninsula Historical Society, Karen Schmidt (my kids’ former principal at Old Mission Peninsula School) gave a presentation on The Botanic Garden at Historic Barns Park. They are doing amazing work on the gardens, located on the grounds of the old State Hospital. 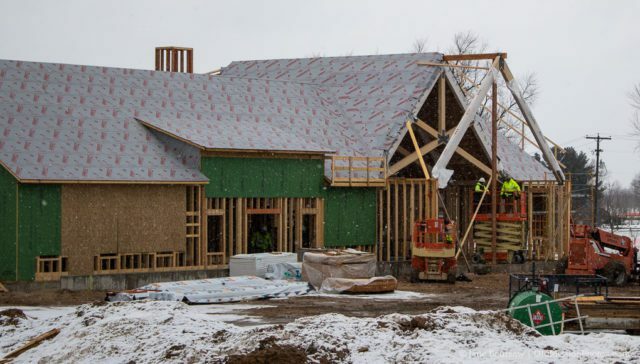 We’ll be sure to check it out when they open for the spring. 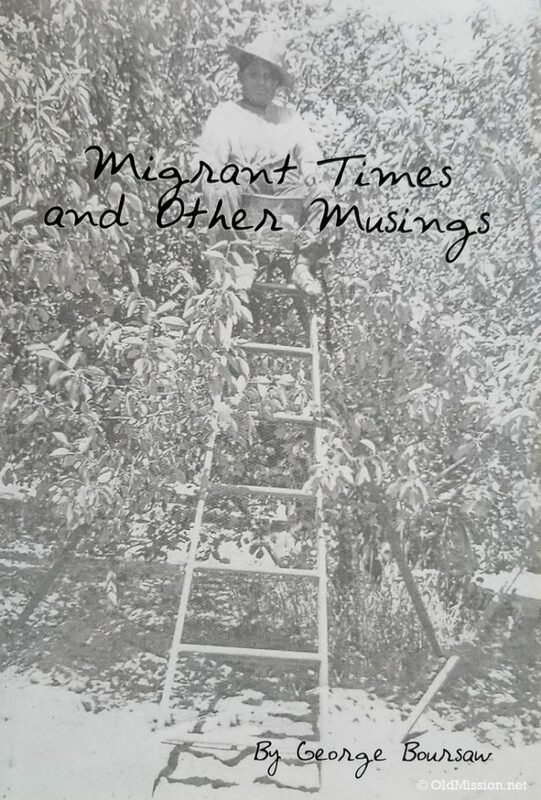 My husband Tim’s uncle, George Boursaw, recently published a book about growing up on the Old Mission Peninsula titled “Migrant Times and Other Musings.” He kindly gifted a copy of the book to Peninsula Community Library, and we were honored to present the book to PCL staff Cathy Adams. Be sure and check it out of the library – it’s an amazing book full of Old Mission history. The Peninsula Fire Department is getting a new truck. 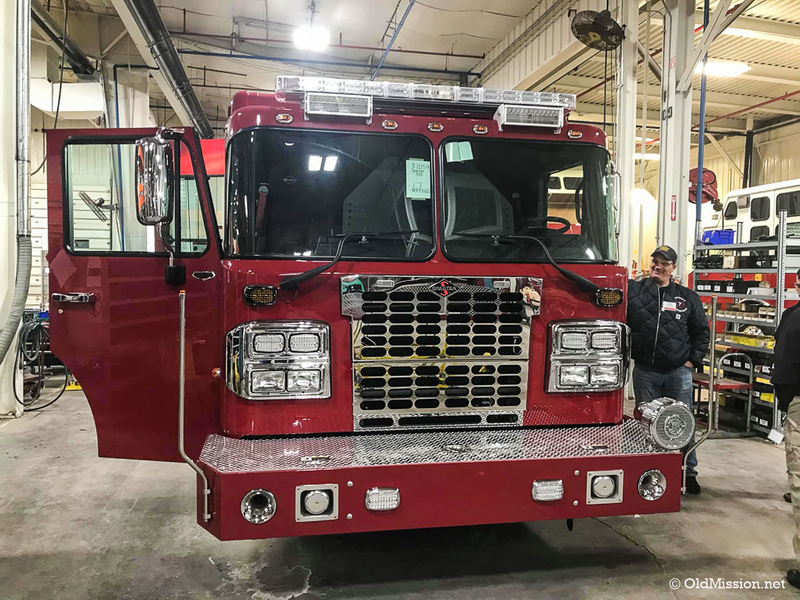 Here’s a photo of PFD Chief Fred Gilstorff with the truck, which is currently being built and expected to be delivered to the Old Mission Peninsula by mid-May. Have you checked out the construction on the corner of Center Road and Island View Road lately? The new Peninsula Community Library is coming along. Stay tuned to Old Mission Gazette for news about the ribbon-cutting and opening date later this year. Are the books available for purchase? We’ll check with George and let you know! 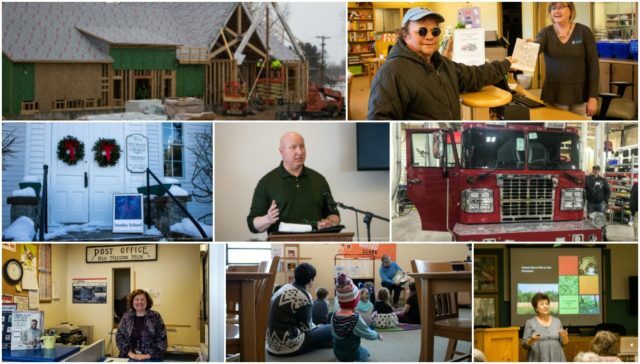 Hope so as the local books on our community from years ago are so much fun to read!!!!!!! And I loved reading Tim’s interview with Marty Reayl!!!!!! I printed it out for Terry to read and so I can read again. Thanks!!!!!! !